The Annals of the University of Bucharest - Philosophy series, is a philosophical research open-access journal, published by the University of Bucharest, Faculty of Philosophy. 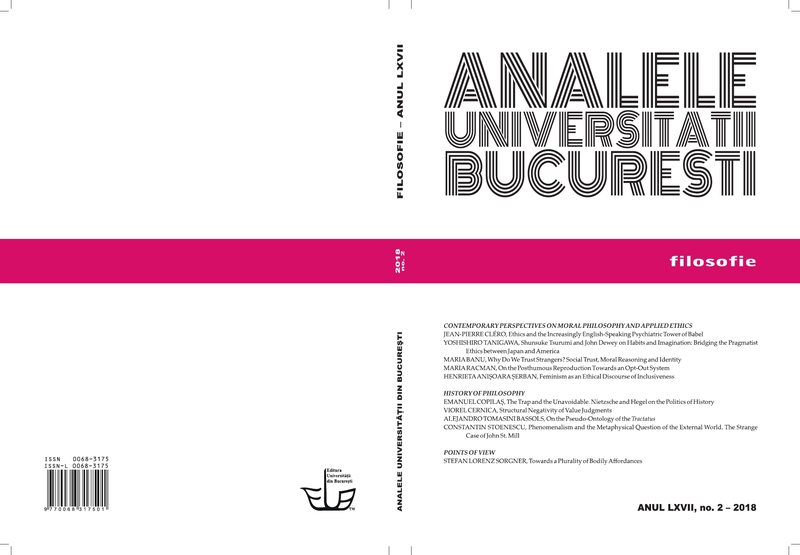 The Annals of the University of Bucharest, Philosophical series, is a scholarly double blind peer reviewed journal. 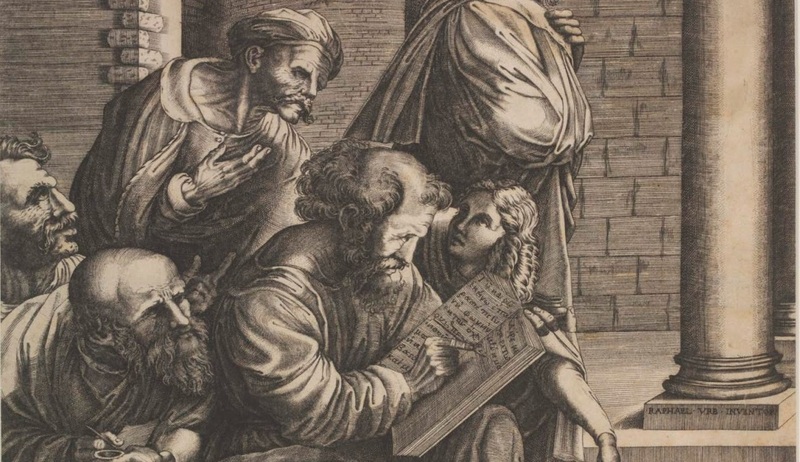 The journal publishes articles considered of relevance for those interested in the field of philosophy and is addressed both to the Romanian and international philosophical community, with a special accent on East- and Central-European area. The Annals of the University of Bucharest, Philosophical series, is devoted to the exploration of different topics of Philosophy. Currently the journal is indexed by EBSCOhost, Philosopher's Index with Full Text , ERIH PLUS, CEEOL, DOAJ, ESCI. Article processing charges (APCs) and article submission charges: The journal does not charge any processing and submission fees. Call for Papers: “(DE)CONSTRUCTIONS OF THE MARXIST THOUGHT AND THEIR RETURN. CELEBRATING 200 YEARS OF KARL MARX AND THE ANNIVERSARIES OF MARXIST THINKERS"
1. To reproduce and distribute the articles (The authors are allowed to republish the articles elsewhere as long as our journal is cited as the source of first publication of the work). 2. To upload the extracted version of their article from the full-issue on the Author’s personal or institutional web page. 3. To include in part or the entire version of their article in a different work, as long as our journal is cited as the source of first publication of the fragments or article in question. The Annals of the University of Bucharest, Philosophy Series recommends to the authors that in case of their intention to republish the articles, journals that are under the Creative Commons Attribution 4.0 International license (CC BY 4.0) should be taken into consideration, since they allow others to republish the work, either for commercially or non-commercially purposes, crediting the Author for the original creation and citing the source of first publication. All articles in this journal are under a Creative Commons Attribution 4.0 International License. Previous issues of this journal from 1960 until 2013 can be downloaded from this website.